Medium Shot of the Astronaut Wearing Space Suit Walking and Exploring Mars/ Red Planet. Space Exploration, Discovery, Colonization Concept. 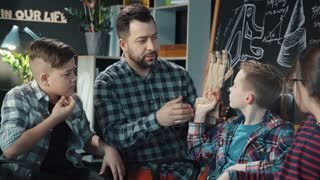 Shot on RED EPIC-W 8K Helium Cinema Camera. 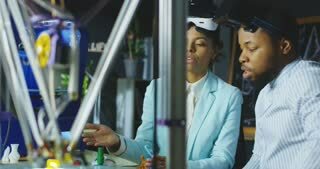 Group of black coworkers in laboratory wearing VR goggles and exploring 3d printing model. 4K movement shot on RED cinema camera. 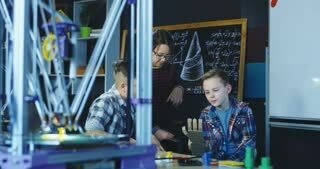 Man and group of children studying robotics in laboratory and exploring 3d carton hand. 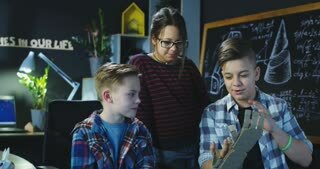 Static 4K shot on Red cinema camera. 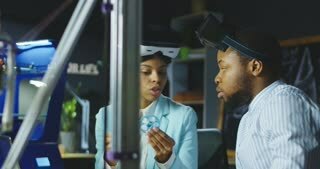 Group of black coworkers in laboratory wearing VR goggles and exploring 3d printing model. Movement 4K shot on Red cinema camera. 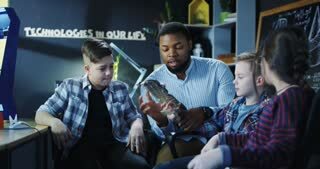 African-American man and group of children studying robotics in laboratory and exploring 3d carton hand. Movement 4K shot on Red cinema camera. 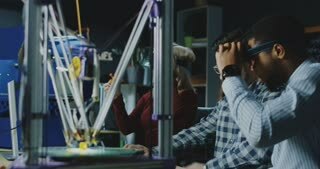 Group of multiethnic coworkers in laboratory wearing VR goggles and exploring 3d printing model. Movement 4K shot on Red cinema camera.